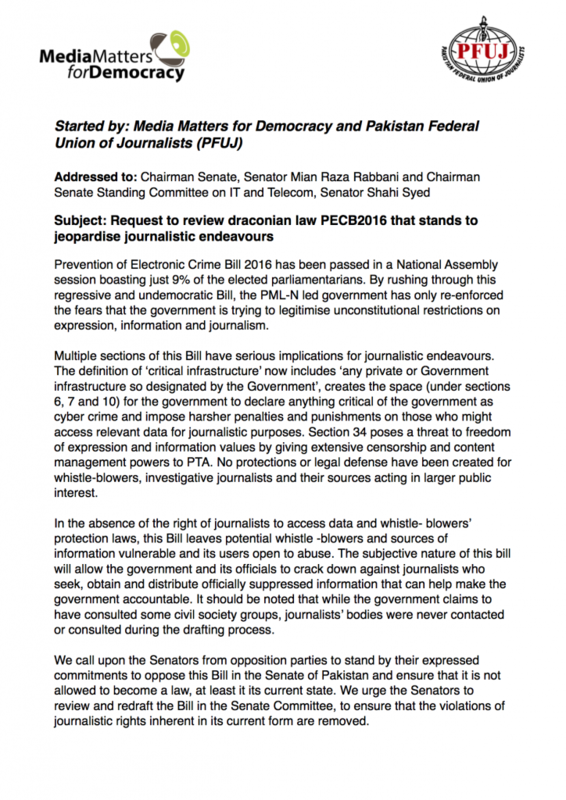 Islamabad, 22 June 2017: A Senate Standing Committee on IT and Telecom called Media Matters for Democracy’s Executive Director Asad Baig and Program’s Director Sadaf Khan to hear a petition submitted in Senate earlier this month. 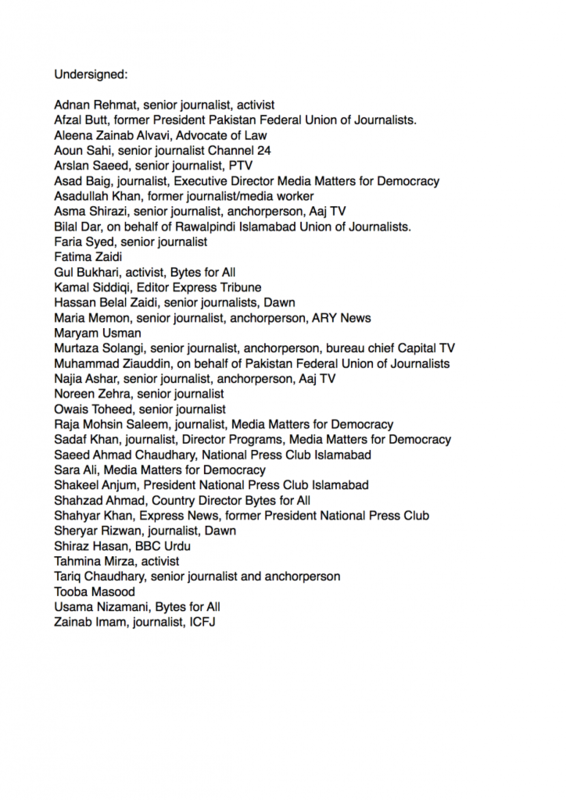 The petition was jointly initiated (and submitted) by MMfD and the Pakistan Federal Union of Journalists and co-signed by various senior journalists and editors across the country calling upon the Chairman Senate Raza Rabbani and Chairman Standing Committee Shahi Syed ‘to review draconian Prevention of Electronic Crimes Bill 2016 that stands to jeopardize journalistic endeavors’. Chairman Senate Standing Committee, Shahi Syed, further constituted a three-member sub-committee to thoroughly look into PECB 2016 passed by National Assembly and the other bill moved by Senator Kareem Khawaja. The sub-committee was furthered directed by the Chairman Shahi Syed to work with stakeholder groups and prepare recommendations to be submitted to the Senate Standing Committee within no more than 60 days. Osman Saifullah, Syed Shibli Fraz, and Ghous Muhammad Khan are the members of newly constituted sub-committee.